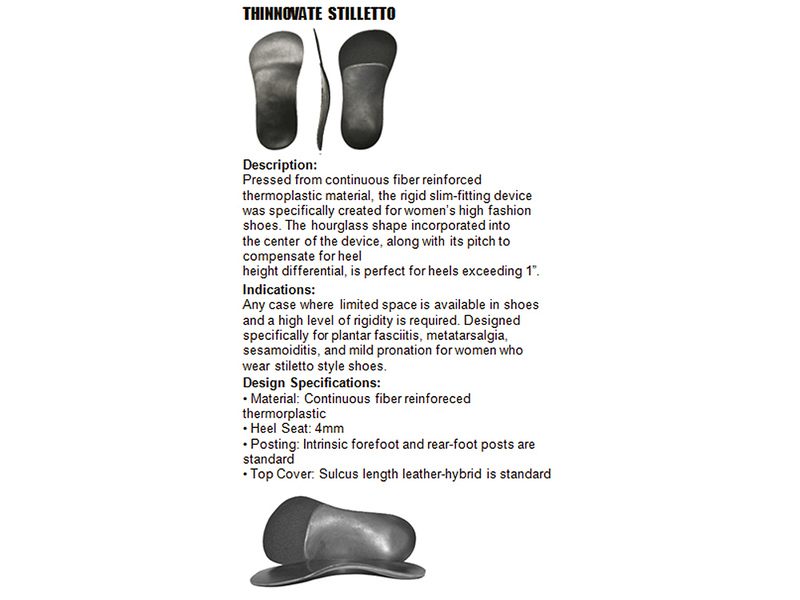 Pressed from continuous fiber reinforced thermoplastic material,the rigid slim-fitting device was specifically created for women’s high fashion shoes. 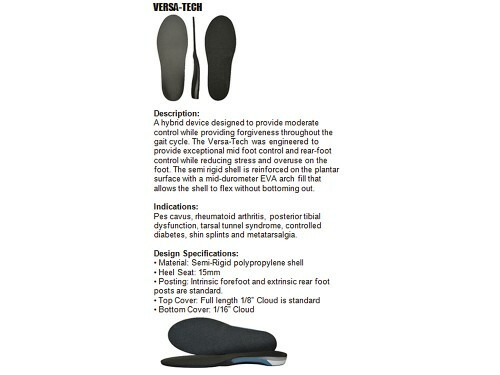 The hourglass shape incorporated into the center of the device, along with its pitch to compensate for heel height differential, is perfect for heels exceeding 1″. 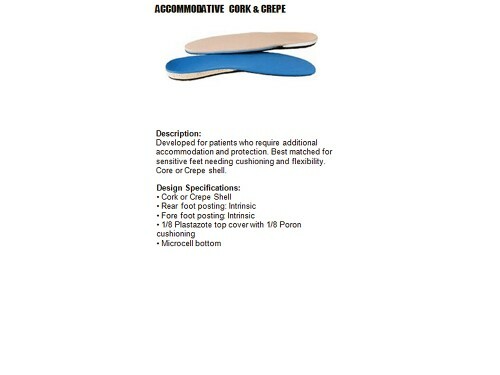 Any case where limited space is available in shoes and a high level of rigidity is required. 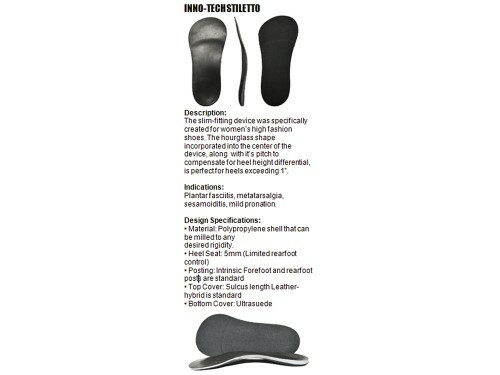 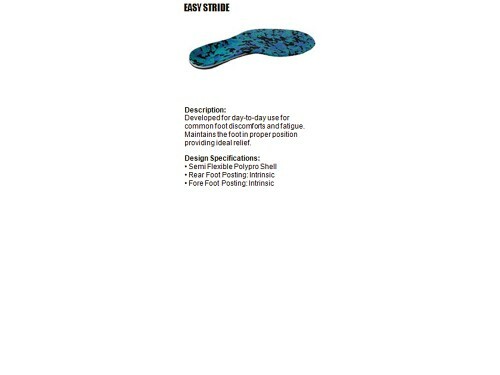 Designed specifically for plantar fasciitis, metatarsalgia, sesamoiditis, and mild pronation for women who wear stiletto style shoes .